In coordination with national experts, Second Nature has developed publications and resources to help campuses move toward carbon neutrality and implement the Presidents’ Climate Leadership Commitments. Some of the publications listed below are older; however, they remain relevant to college and university leaders and to practitioners of sustainability as institutions work towards a more carbon-free situation. In this case study series, first published on Second Nature’s Campus Green Builder website, we look at Climate Leadership Network institutions and their green building efforts. 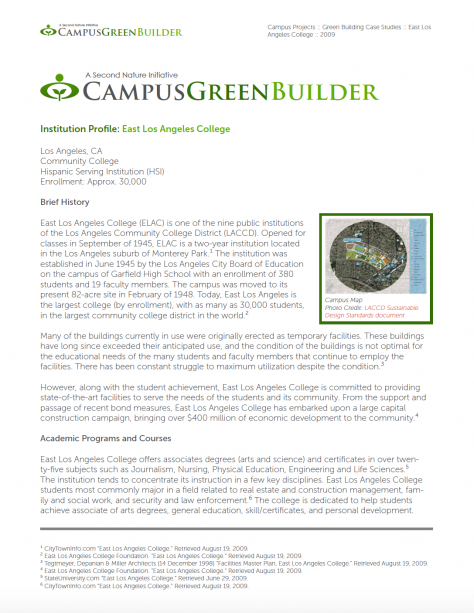 This 2009 case study outlines East Los Angeles College’s (ELCA) sustainability missions and their Sustainable Building Program, which has provided ELCA with the resources to construct 90 new green builds across its nine colleges. Download. Higher Education has a unique role in society. Reversing global warming is the defining challenge of the 21st century. This is a challenge of massive proportions, one that desperately calls for vision and leadership of higher education. By committing to rapidly eliminate their own contributions to global warming and swiftly accelerate education and research, institutions will be leading the crucial race to find global warming solutions. 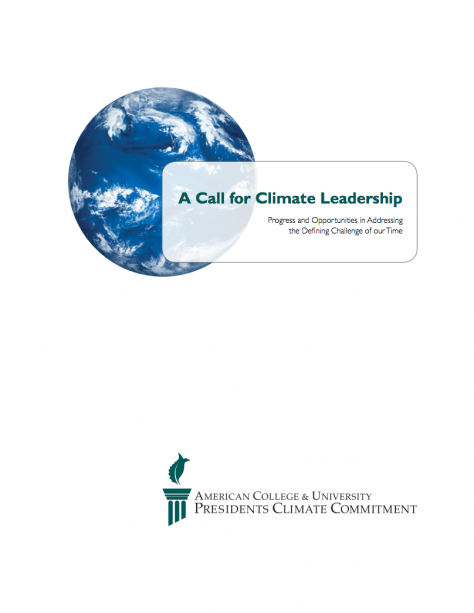 Written in collaboration with AASHE, Clean Air-Cool Planet, ecoAmerica and Student PIRGS. Download.